Crafty folks are creative by nature. In fact, we usually have WAY more ideas than we have the time to complete them. But, now and then, every crafter will come up against a roadblock and lack the next brilliant idea. To help in my own little way, I wrote up a quick post of 21 ways to find creative inspiration! 1. Use a new medium ~ If you’re a painter, start playing with fabric. If you crochet, grab some clay and see what happens. 2. Pinterest ~ I know must of us are on Pinterest pretty regularly, but try something new. Instead of just scrolling through your usual Pinterest feed, pop over to the search tab and click on the “Everything” tab. I’m sure most of what comes up won’t interest you at all, but you never know! By the way, if you do see a work of art online that inspires you, never directly copy!! It is very bad crafter’s karma! 3. Nature walks, cloud watching, looking at stars ~ It might be a bit cliched, but getting out and enjoying nature really does clear your mind! 4. Visit a grocery store or farmer’s market ~ I am 100% inspired by fruit and vegetables. It might sound weird, but if you’re stuck for inspiration, grab some produce and use it as the starting point on your next project. 5. Journaling ~ I find inspiration by using my journal for brain dumping. If I can get all the other stuff out of my head and onto paper, I have much more room for crafty brilliance! 6. Doodling ~ Sometimes all it takes is putting pen to paper without thinking. 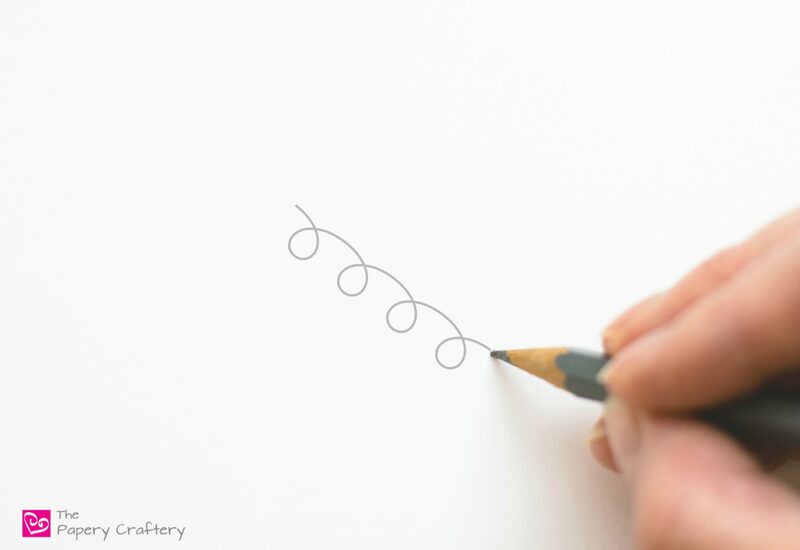 Your doodles might not mean much to you at first, but just squiggling some circles or lines might snap your brain into creative mode. 7. Make artwork with children ~ My kiddos have such an amazingly unique way of creating. Moose is very precise and has a real eye for details, and the Bean loves color and showing off her work. Coloring with them reminds me to relax and not to take things so seriously. 8. Take a class ~ There are probably some sort of classes you can attend in your community. Check out your local community college or library. And don’t count out online classes, either! Two amazing sites to try are Craftsy and CreativeLive. 9. Find crafty friends ~ It’s great if you can find a group of friends to bounce ideas off. Even if they work with different materials than you do, it’s just reassuring to talk to other crafty people who just really get it. 10. Just start making something ~ It’s ok if its not perfect. It’s ok if it never gets finished. You might figure out a new technique or stumble upon your next great idea. You never know! 11. Rework an old project ~ Maybe there is a project that you just couldn’t get to work the way you saw it in your head. Pull it our, dust it off, and try again. I bet you see it differently this time. 12. Online community ~ Find a Facebook group or some other online community of like-minded crafters. I’m sure there is at least one out there. If not, start one yourself! 13. Turn work in progress upside-down ~ Here is a tip that I picked up in art school. If you look at something from a different perspective (literally), you’ll see something new. I do this all the time. 14. Take a break ~ Sometimes, you just have to walk away for a little while. 15. Flea market / thrift stores ~ I am a huge thrift store shopper. I come home with at least two DIY projects every trip! 16. Straighten up work space ~ It’s the old “a cluttered space means a cluttered mind” situation. I find if I clean up a bit, I can think much better. 17. Sleep ~ Ah, yes. Beautiful, blissful, wonderful sleep. 18. Visit any type of museum ~ And I mean, any type. An art museum is the obvious choice, but search out a science or history museum. I promise you’ll learn something, and anytime you can learn something, it could lead to creative inspiration. 19. Shower ~ I have THE BEST ideas in the shower. I’m grabbing one of these in shower note pads for all my ideas! 20. Listen to music ~ Again, try changing it up and listening to something new! 21. Exercise ~ I wish I could speak more from experience on this one, but, unfortunately, exercise is not my best friend. From what I hear though, it works wonders. I hope this list of 21 ways to find creative inspiration helps you get past your next bout of crafter’s block. But I’m sure there are so many more ideas out there. And I want to hear them! Leave a comment below and tell me how you find your inspiration! 😊 I’m so glad you enjoyed it!! These are great ideas. Sometimes you do just need to take a break and not put so much stress on your creativity. It’s true! It’s amazing how much just pops in your brain when you stop thinking so hard! These are wonderful suggestions! Of course I love pinterest, but I agree with you on the nature walks. Sometimes it just takes a little wandering to get those creative juices flowing! Yep, you never know what a little fresh air will do for you! Yes! Stepping away is what always always helps me figure something out, it’s my go to method. These are great tips! Thanks for sharing! Thanks, Apryl! Most of the time I get a new idea right away. It’s like my brain just needs a reset. These are some great tips! I find decluttering my space and going for a walk works best for me along with doing something completely unrelated to my business and switching off. So glad it helps, Candy!! Happy crafting! Great ideas. I do almost all of these and don’t run out of things to do and start! Love it, Carolina! Keep the great ideas flowing! Listening to music definitely gets my juices flowing! Music is almost always my first go to, but I will say Pinterest is a beautiful thing! Right? Pinterest is great for finding awe-inspiring creations! I’ve tried some of these before but I think I most admire the suggest to try a new medium. Even as a graphic designer, if I take a break from Photoshop and play with videos in After Effects for a day or two, I feel so stimulated and filled with new ideas. Great job! Perfect! I love that the same ideas work across different artistic fields! I always find so many cute and crafty ideas on Pinterest. It’s fun to compare the cool things now to crafts in the 90s. It’s true! I love the resurgence that crafting and makers have been having in the last few years!